Product prices and availability are accurate as of 2019-04-23 13:40:40 EDT and are subject to change. Any price and availability information displayed on http://www.amazon.com/ at the time of purchase will apply to the purchase of this product. 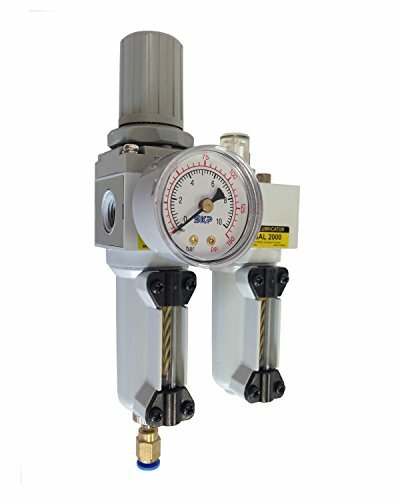 Pneumatic Plus SAU Series piggyback air filter regulator lubricator offers space saving complete airline solution for most effective air filtration, pressure control and lubrication to keep your air tools working properly. 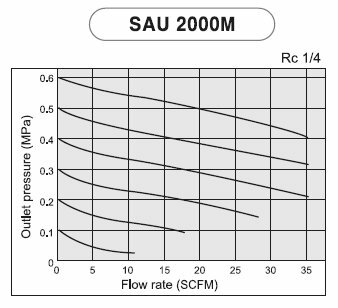 SAU Series piggyback air filter regulator lubricator is offered with Drain (Manual or Auto) and Bowl (Metal or Polycarbonate) options to better suit your needs. Oil Injection on the Lubricator can be adjusted and completed turned off as necessary.